This morning I have been trying something a little bit different. I’ve never done this before let alone heard of it. I’ll give you three guesses what I was doing with a jar of coconut oil first thing this morning. I can often be seen rubbing coconut oil into my eczema or scalp or baking with it, but this morning I was doing something altogether – weird, with the coconut oil… have you guessed what it is yet? I know the title of the blog kind of gives it away but it was a new one for me. This morning, I’ve been oil pulling! It’s an ancient Ayurvedic technique which dates back 5000 years. It is said to have miracle cure qualities and help with eczema, psoriasis, allergies, joint pain, teeth whitening, tooth decay; the list of possible benefits are endless. The way it works is by removing or ‘pulling’ impurities out of your body through your tongue. You finish the treatment by spitting out the oil so you flush the bad stuff out. Oil pulling is easy, or so they say. I think it’s a technique which takes a bit of getting used to. We are not generally used to taking a spoonful of any oil into our mouths and swilling it around. The advice I found was that you need to do this swishing and flushing around your mouth and teeth for about twenty minutes. WHAT? I hear you cry. TWENTY WHOLE MINUTES? Yes that’s right, but you could do ten minutes twice a day. I think with anything you need to find your natural balance and not get disheartened if it isn’t easy first time. I didn’t find this easy to get the hang of by any means. Organic oil. I used organic coconut oil which seems to be the favourite amongst oil pullers on the net but you could try sesame oil or any cold pressed seed or nut oil. A tub or plastic bag to spit into – don’t spit used oil down the sink as it may solidify and block your pipes. Twenty minutes to devote to something which should become relaxing and enjoyable when you get the hang of it. That’s it. Sounds simple right? The best time of day to do this is first thing in the morning and always on an empty stomach, before you’ve eaten or drunk any food or liquids. Don’t brush your teeth beforehand, do it after to remove any lingering toxins from your mouth. 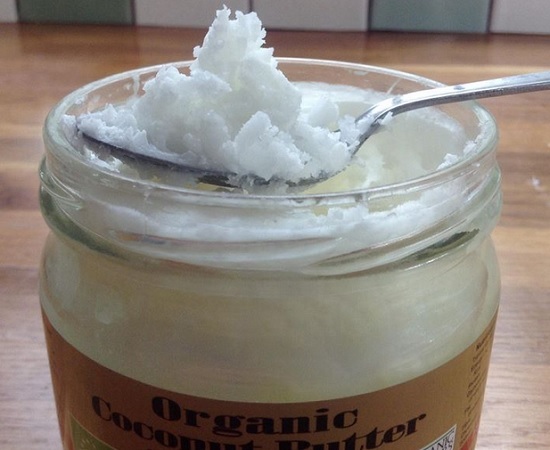 Take your teaspoon and if you’re using coconut oil it will probably be hard. Dig out some oil. Websites I visited recommend a teaspoon or tablespoon full. I would start with a smaller amount to try at first. It feels weird and if you’re anything like me, your mouth will feel like it’s filling up and I also had an urge to swallow. You should not swallow the oil at all if you can help as the idea is to remove the toxins and impurities from your body. If you’re using coconut oil, pop the teaspoonful into your mouth and allow the oil to melt slowly, as it does so gently swish it around your teeth and gums. If you feel mucous building up, spit out a little into your tub or bag and carry on swilling. I found it helped to tip my head forward over the sink because I felt I wanted to swallow the oil… and if you feel like swallowing you can quickly spit some or all of the oil out into the tub/bag and start again. There is no shame in finding this a bit weird. It is a bit weird. In fact, lets face it, it’s a pretty odd thing to do if you’re not used to it. Basically you keep on ‘pulling’ the oil around your mouth and it will be drawing all the nasty things into it. You should try to do this for twenty minutes. Maybe set an alarm, but don’t worry if you can’t do that long at first and if you don’t think you can manage to do it every day, try doing it once or twice a week. If the benefits are even half as good as they claims I’ve read it’s worth setting the alarm half an hour early for a quick ‘pull’. Why bother oil pulling anyway? What are the benefits? Whitens teeth and strengthens teeth and gums – some even say it helps prevent or even heal cavities in teeth! Gets rid of your hangover – if it does that I’ll be converted! Are there any side effects of oil pulling? I did find a few references to oil pulling actually causing eczema to flare up. The reasons for this could be many but as this treatment is detoxing the body it could be a release of toxins that might cause a flare. I sometimes get this when I drink nettle tea which has the same qualities. Don’t panic, monitor the symptoms and if it last longer than a few weeks it could either be an infection or virus which needs treatment or maybe oil pulling isn’t for everyone. I don’t know yet as I’m a ‘pulling virgin’ but I will let you know how I get on. I will be giving this another go tomorrow morning and trying to last a little longer. The taste and sensation of putting solid coconut butter into your mouth is a little odd, but the oil soon melts and it doesn’t taste bad at all. In fact I liked the way my mouth felt afterwards, very clean and fresh. The urge to spit some out and swallow was too hard to resist for me so I’m hoping it will get easier. Just google oil pulling and you’ll get hundreds of hits.